I have a AS3202T with a couple of IronWolf 3TB drives (ST3000VN007) and everything works like a charm. 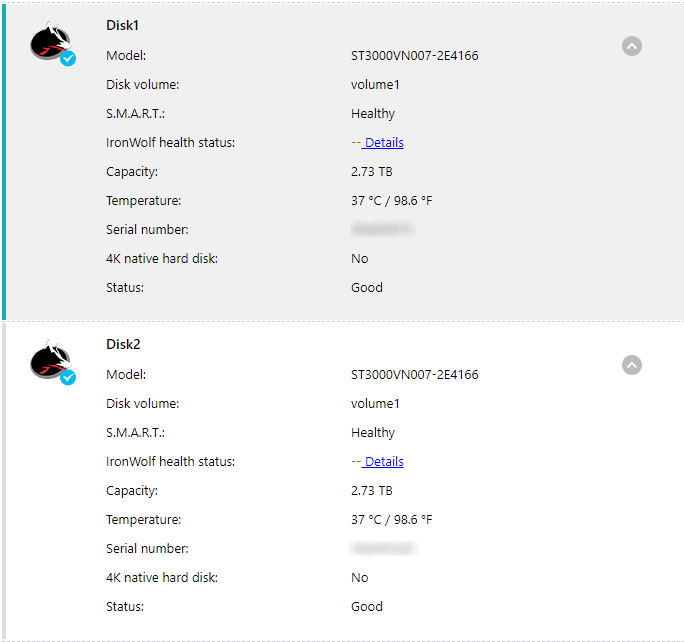 I really enjoyed some of the features that came with ADM 3.2.1/3.2.2 and I´m aware that my disks do not support Health Management, but would there be any possibility to have a history of the temperature of my disks? If this is not the best place for this thread please let me know and sorry about the bad English. Unfortunately there is no support for that with other hard drives. 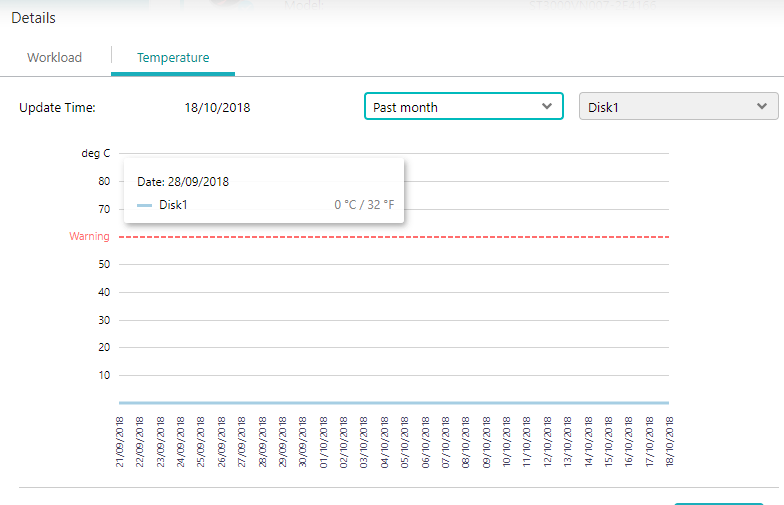 Ironwolf Health Management uses proprietary methods not found on other hard drives to report and record temperature and health. Sorry about that. To get those features, you need to use Ironwolf drives. Thanks for your support!